We are now a month into the new year. If you made a new years’ resolution and are on target, congratulations! If you find yourself beginning to slip, read on. There is a science to this process of succeeding with a resolution. Knowing the science is like having a map to follow, a GPS that tells us what the best route is and when we’ve made a wrong turn. How do we develop this map, make use of the science? We can begin by asking what may seem like an obvious question: What does it mean to succeed with a new years’ resolution? 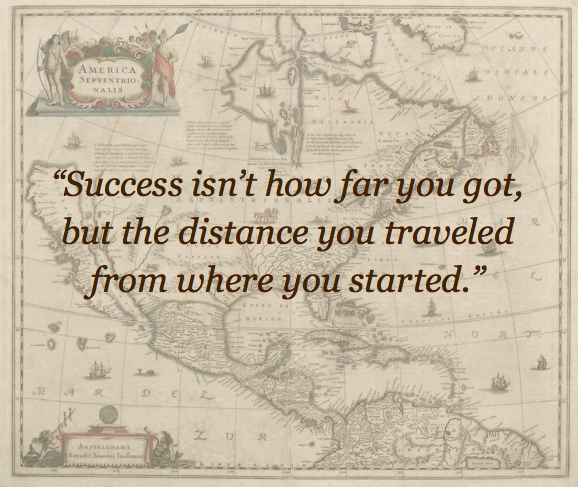 Success means that 1) we reach our end goal and 2) are able to maintain it. Two components, each needing consideration. People usually make resolutions that involve life changes, like getting healthier or improving our lives in one way or another. A life change is not superficial. It involves the very core of who we are, of changing perhaps long-held habits, tendencies that seem to have a life of their own. For example, if we want to eat better, what we put in our mouths affects us very deeply, involving not only physiological processes, but also an emotional element, i.e. hello cravings! Having an understanding of the fundamentals can arm us with the right mind set and some effective tools. Are your resolutions realistic – all things considered? Assessing our goals in light of our life circumstances helps us determine whether everything lines up. Every day when we wake up – and given that we slept well – we have freshly charged batteries to live another day. How we expend this energy greatly impacts what we accomplish. If we have high stress at work, less will be available for personal goals. Or maybe it’s the opposite. We struggle with family problems, then expect to be fully motivated and excel at work. So we might formulate our first tool as: If, at first, you don’t succeed, reduce the goal. Our self image often prevents us from taking the simple step of expecting less of ourselves when we are not measuring up to our self-imposed goal. Usually we fall into self-criticism – an energy drain with no return on investment – instead of admitting the truth. The old saying: “The truth can set us free” has practical merit. We are not all built the same. Understanding our body type can guide us in setting our goals and, more importantly, tell us what we need to stay the course. In Ayurveda, India’s ancient, time-tested healing tradition, there are three main body types: Vata, Pitta and Kapha. Each has its own unique physiology and emotional disposition. A Vata, for example, has lots of initial enthusiasm and is great at getting started but can easily get scattered and move on to another goal, never fully landing on any one. A person who is predominately a Pitta type has great determination and self-discipline but can sabotage themselves with too much impatience or too high expectations and quit half way through. Kaphas are loving, forgiving types yet they have a slow metabolism so getting started is usually the hardest thing. Our intuition is a powerhouse, a valuable resource that many of us don’t tap into. It does take training and practice to hone it into an accurate, reliable skill. But it is well worth the investment of time and effort. Our intuition is capable of connecting many dots at once making it an extremely efficient tool to navigate life’s challenges. How to program your intuition: A simple way to begin working with your intuition is to program yourself before going off to sleep at night. Envision your end goal (not the problem). Breathe and relax your body, and as best as possible, feel what the end goal would be like, feel like, if it were true in the moment. Finish by telling your intuition to guide you in fulfilling it. It’s best to practice this every night until you get proficient. A Kapha friend of mine, with a life-long tendency to put on excess weight, decided finally to hire a personal trainer. It changed his life. Not only did he lose forty pounds – slowly, in a healthy, maintainable way – but now, a year later, he is still on track. Surprisingly, it’s not so much the lost pounds that we all noticed. He also became cheerful and energetic, and his trademark slumping posture all but vanished. He became a different person. But take note, he did it with help. You may ask – what about all those people who just forge ahead independently, without support? Those amazing athletes? Well, they are probably Pitta body types. Pittas have determination and drive in abundance. If you feel envious, just know that they can also be impatient and critical. Even Pittas, however, can fall into despondency or inaction and never get started. Their overly high expectations can be paralyzing. A Pitta I know has wanted to change his career for ten years now and is still unhappy. He claims he can’t make up his mind, that nothing seems to light up for him. But nothing can light up for any of us if we never give ourselves an opportunity to step up to the plate and swing a bat for the first time, feeling awkward and inept. Pittas hate feeling like that. Even determination-filled Pittas need support. Lastly, consider hiring a therapist or life coach to help you identify any self-defeating habits and beliefs operating under the surface. If, as a child, you were told things like: “You’ll never amount to anything.” or “Life is just one burden after another.” these attitudes become lodged in our subconscious and continue to operate in us as adults without our awareness. One sign that they are operating is when we find ourselves doing the opposite of what we intended and feel powerless against a nameless force within us. I’d like to end with a quote that I encountered many years ago and found valuable in helping me not to compare myself with others. When we stop comparing ourselves to others, we start being more who we truly are. The more we know about how we operate on the inside, the smarter we become at self-discipline. Effort is still needed but it is informed effort. If you’ve ever played darts, you’ll know that in order to hit the bull’s eye, you have to steady your hand and focus your sight. The calmer and steadier you are, the better you will be at hitting the target. It takes the same physical effort, or more, to throw the dart sloppily and miss the target. One system that can inform us is Ayurveda, India’s ancient holistic healing tradition. 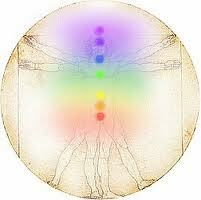 Ayurveda, which means the science of life, is a comprehensive system that treats mind, body and spirit as one entity. It provides us with a valuable body type system that describes each individual’s unique mind-body make-up and natural inclinations, essentially our inborn nature. 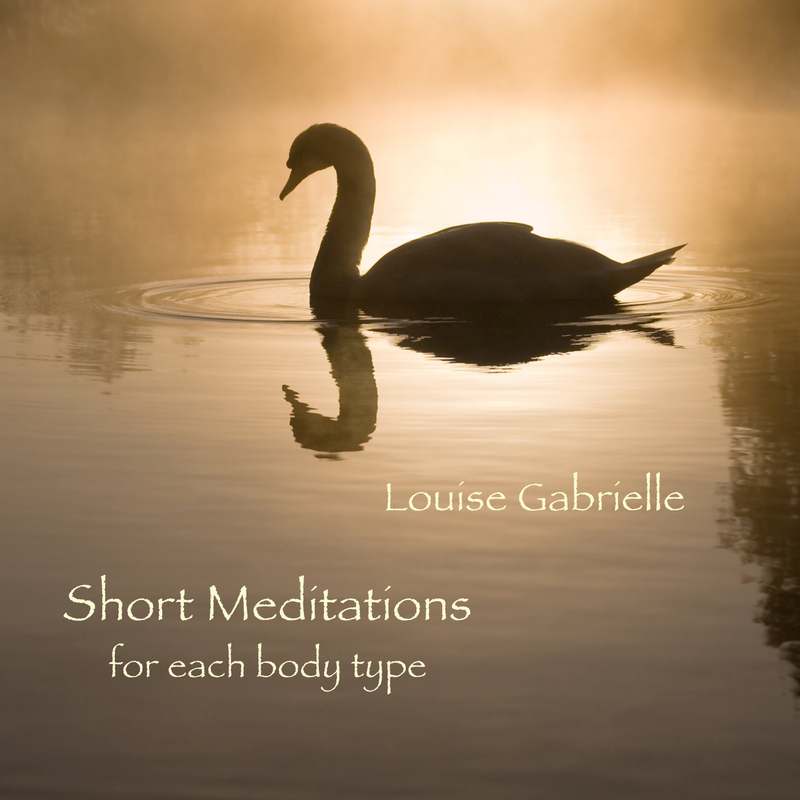 Our body type influences our way of thinking, our emotional temperament and our lifestyle choices. Knowing our body type can help us better understand what motivates us and what kind of self-discipline approach is best, as well as alert us to the specific things that can get in the way of maintaining our momentum over time. After all, most goals are not achieved in a day. It is usually a process over time. In Ayurveda, there are three main body types or constitutions called Vata, Pitta and Kapha. 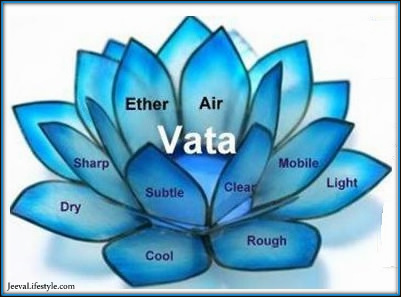 Each type is associated with a particular element of nature: Vata with air, Pitta with fire and Kapha with earth/water. Each type has its characteristic physical attributes, emotional disposition and lifestyle preferences. No one body type is better than another. Each has its strengths and vulnerabilities. So, for example, a Vata type can be enthusiastic yet be restless and scattered. Pittas can have strong discipline but can get willful or impatient. Kaphas tend to be calm and easy-going but can have difficulty getting started. Your body type also determines the kind of metabolism you have and hence how foods, environments and activities affect you. For example, the same food can affect each type differently. Sweet foods have a calming effect on Vata but create heaviness in Kapha. Pittas strongly dislike hot weather whereas a windy day unsettles Vata. In exercise, Kapha does well with endurance exercises whereas Vata fairs better with short sprints and light exercise. The following is is a brief description of each body type to help you identify yours. You can also fill out a free, short quiz at http://www.mapi.com/doshas/dosha-test/index.html Keep in mind that most people are a combination of two types. As a Vata, you tend to be energetic, enthusiastic and good at initiating things. You like to be active, always on the move, sometimes a virtual whirlwind of activity. However, your energy level is inconsistent and comes in bursts. Your mind also likes to be active, you love thinking. You are creative, have a vivid imagination and like to express yourself. You are quick paced. You walk quickly and perform tasks quickly. You speak quickly and as a result, you are not always clear in your communication, leaving out relevant details. Because you crave activity and excitement, you are prone to crash and burn. It is difficult for you to slow down and not get overloaded. You are convinced that more is better so you can drive yourself to excess from over-activity and also because you love to expend energy. You are also prone to being anxious and to worry a lot. You have no trouble having a goal to begin with because you have lots of them – at least lots of ideas about your goals. With your propensity for creative thinking and an urge for new experiences, you find it easy to get started. Keeping the momentum going is another matter. More on that later. If you have strong Pitta energy, you like to excel. You tend to be assertive, focused and determined. Like fire, you can have strong drive. You have leadership qualities and are naturally courageous. You excel at planning and implementing new ideas and are efficient and practical. As a Pitta, your manner of speaking is precise and to the point. You are confident about what you want to communicate and what response you wish to elicit. Your voice often sounds impatient or intense. Your anger can be explosive and, like a burning log, can smolder for a very long time. Or you easily feel angry inside and do not show it. With all this drive and determination, you would think that Pittas have no problem attaining their goals. They usually do except when they don’t. More on that later. Kaphas are emotionally steady, calm and easy-going. You are warm and understanding, the most loving and forgiving of all the types – although not always with yourselves. 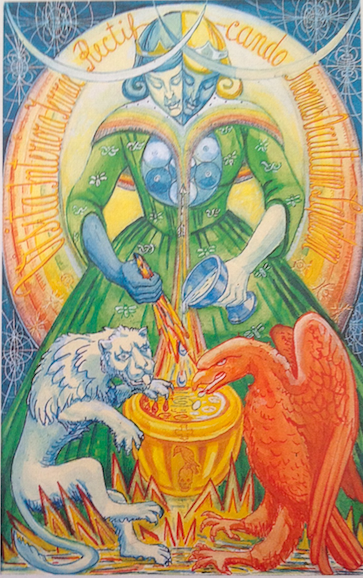 Like earth, you are stable and dependable, have a strong build and good endurance with a high reserve of energy. Yet you often lack the motivation and discipline to put your energy to good use. With external prodding, you tend to stay the course. You are good at stabilizing and running a new enterprise smoothly. With your innate slow metabolism and slow pace, you are good at staying the course – that is, once you get started and establish a routine. You are good with routine because you tend to be loyal, to others and to ‘the way things are done’. It’s the getting started that’s the challenge. After such a whirlwind of activity, the ballon suddenly deflates. You run out of energy. You’re exhausted at the end of the day and wonder why. Everyone else around you knows why. Watching you anxiously dash off here and there, eat on the run, worrying, trying to do too many things at once, others wonder how you kept going as long as you did. Or maybe you just lost interest. Losing interest is deadly for a Vata, like having an empty tank of gas. As for self-discipline, it’s not so much that you lack it but rather that you don’t like routine. These natural inclinations can make your efforts to attain your goals variable and inconsistent. Pittas like efficiency and being productive. You want things to improve and you want it now. Staying the course might be difficult because you may get frustrated by the slow ‘progress’. Gazing admiringly into your friend’s eyes, you compliment their prowess at accomplishing their goal. You wish you had their energy and determination, but alas, you feel you don’t. Kaphas actually have lots of energy – in reserve, that is. The problem is the ignition switch. And it’s difficult getting to your car when it’s parked in a big, muddy puddle. 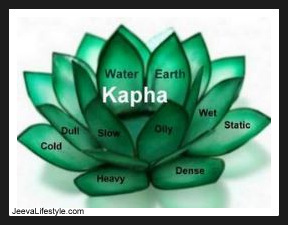 Kapha’s slow metabolism creates tendencies towards complacency, lethargy and even depression. Many pure Kaphas can have overwhelming feelings of heaviness, so getting started with any endeavor can feel like a formidable task. As a Kapha, you actually have lots of energy and stamina but it feels like you don’t. Your slow-moving energy makes it easier for you to gain weight than others. Combined with your gentle, kind, loving tendencies, you are prone to drift into pleasant reveries and fantasies. 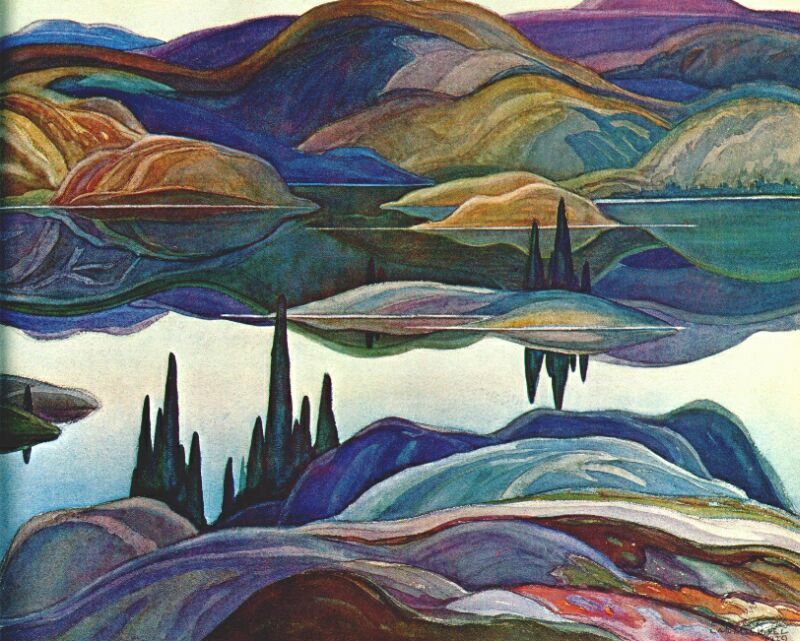 You can easily imagine yourself resting next to a quiet lake on a warm summer day with the soothing sound of birds. 1) Develop regularity: Irregularity, or lack of routine is Vata’s biggest obstacle. So you need to focus your attention on developing regularity. To help you with this, make it a priority to get enough rest. Your overactive mind and enthusiasm can drain your energy so there’s none left to pursue your goals. Take periodic short breaks during the day to actually slow down and rest. 2) Stay the course: Pick one goal and stay with it. Only change direction or goal if you are absolutely sure it is not right for you. Watch out for enticing reasons to pursue something else. Indecision is something to watch out for. When we stay indecisive, we never move forward. 1) Examine your expectations: As a Pitta, you view your high standards as simply basic requirements. Compared to others, your expectations often appear unrealistic and they usually are. For example, having the expectation to excel at something before fully learning it is unrealistic. Yet Pittas are prone to this. You won’t allow yourself mistakes or ‘making a fool of yourself’. You must appear competent at all times. 2) Watch your impatience and frustration: That Pitta fire, so good at forging ahead can quickly turn into anger and impatience. Simply noticing this impatience with … and here’s the important part …. as neutral an attitude as possible, can help you to ride it out and calm down. It’s a practice. Get support: As a Kapha, your tendency towards a slower pace, coupled with an insipid feeling of heaviness, needs external prodding. Needing help and support to attain your goals does not mean there’s something wrong with you – in case you might be thinking that. One man, who tried for years to “lose weight”, finally hired a personal trainer and succeeded in not only slimming down but getting healthier. 2) Go for a walk, even for a few minutes: Lack of physical activity is deadly for Kapha’s motivation. It’s like a feedback loop – the less exercise you get, the less motivated you are, and the less motivated you are, the less effort you make in working toward your goal. 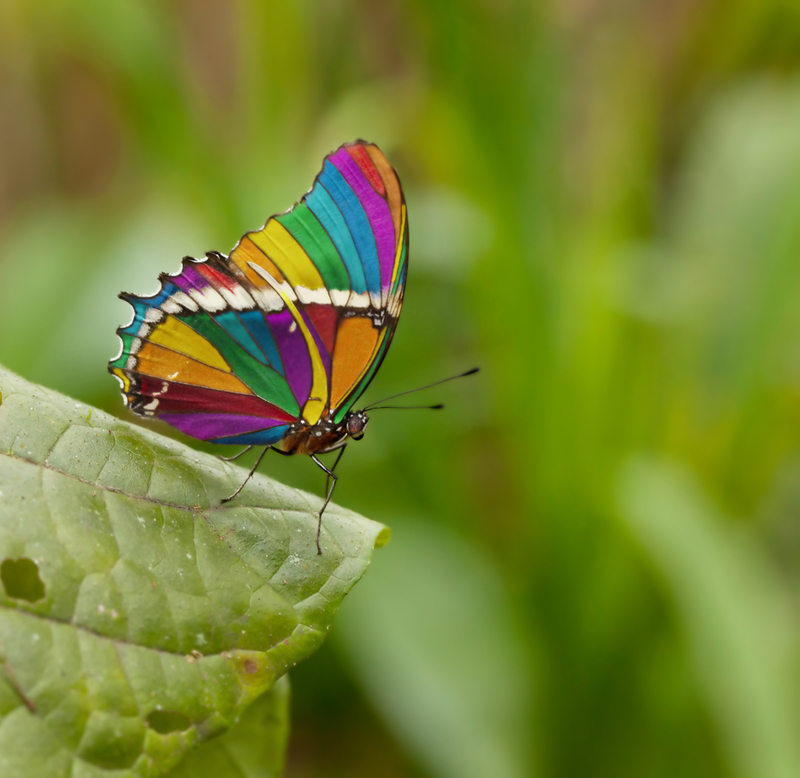 In conclusion, a well-known quote originally spoken by Woody Allan, might help us regardless of our body type: “Eighty percent of success is just showing up.” For Vata, that would mean showing up repeatedly and consistently, for Pitta, it would mean showing up free of high expectations and for Kapha, it’s getting support … to just show up. Our self-talk, that is, the stream of thoughts that continually run through our minds, is so automatic that we aren’t aware of a good portion of it. If you have had trouble attaining your goals, more than likely you have some sort of negative self-talk. It is only when we slow down, calm down and pay attention, that we can really catch it. Knowing our negative self-talk is an important part of smart self-discipline. It may seem like too much effort at first but we are building a foundation. Once built, it will be easier to accomplish whatever goal we wish with less effort, like investing in a map when we are travelling in unfamiliar territory. We human beings are complex. We believe ourselves to be one person but in actuality, we have what modern psychology calls sub-personalities. This is a great tool to use for self-awareness. It helps us target more specifically what we keep repeating to ourselves that sabotages our efforts. Remember, smart self-discipline is about ‘informed effort’. Negative self-talk generally falls under one of four categories as described below. Read through them and see if you can recognize anything about yourself. The Worrier: If you are prone to being anxious, you probably have a worrier sub-personality. Your self-talk will include worry statements such as “What if the worst happens?”. You anticipate failure or catastrophe. Or maybe you are afraid of something embarrassing happening to you. 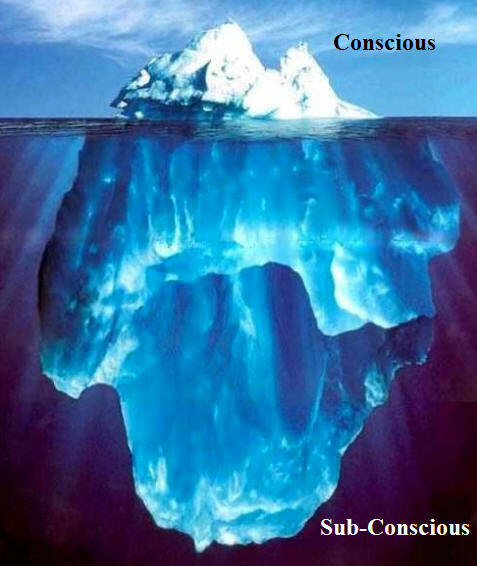 We all have a subconscious mind which is essential for our functioning. Without it, we would not be able to perform basic tasks. Every time we walked across the street, for example, we would have to learn how to take each step, much like a baby learning to walk. As adults, our walking ability is automatic and efficient because it is performed by our subconscious mind. Our subconscious – helper or saboteur? The trouble occurs when we, as children, are either treated poorly by our parents or family members or have traumatic experiences that cause us to feel badly about ourselves. This gets registered in the subconscious as truth and begins to operate automatically. Our negative self-talk happens in both our conscious mind and our subconscious. This is an important aspect to understand. If you have found yourself doing the opposite of what you intended, very likely, lodged in your subconscious, is an opposite message or tendency to what you consciously wish for. For example: “I wish to eat less” is your conscious desire. Yet you may have in your subconscious a tendency or belief that says: “Eating makes me feel better, it calms my nerves.“ So as soon as you try to eat less, it triggers your subconscious to react against it. The good news is, our subconscious, being like a computer, can be reprogrammed. We can input a different and positive message or belief into it. The trick is to be strategic, what I call, ‘going in through the back door’. 1) Calm down and relax just 5 minutes a day. If anything, it will at least be a good investment in your health and well-being. We live in such a frenetic, productivity-based culture and, unbeknownst to most of us, have become so accustomed to this as the ‘new normal’. We are not built to be constantly on the go, constantly stimulated. This actually wastes valuable energy, like going on a shopping spree and buying clothes without trying them on. The only difference is we can return clothes but our energy only gets spent. We can’t call it back. Being busy all the time means we don’t have energy left over to observe our negative self-talk. So slowing down is essential, like our Far Side cartoon school boy who finally stops to see that he needs to pull rather than push to open the door. a) Write down in a journal anything you are aware of about this. Ask yourself “What do I think or believe about myself or my attempts to achieve my goal?” e.g. “I failed.” When I was training to be a psychotherapist I was taught a saying to help with the fear of making mistakes: “There are no mistakes, only consequences.” To some of you, this may sound negative but for me, it was liberating. I later came to realize that it wasn’t my mistakes that were a problem, because mistakes in life are inevitable, but rather how I dealt with them. We often focus on what we need to change or fix rather than where we want to get to. For example, the goal of losing weight means we are focusing on the problem. We weigh ourselves daily to see how much weight we lost – or didn’t lose. If, instead, we enlist the help of our subconscious, we can simply spend a few minutes each day, imagining ourselves thinner or healthier. Doing this before bed every night is a good time. We are tired and our subconscious is more receptive and accessible. It’s important not to push it but rather make it a soft, receptive attitude towards yourself. If you want to use an affirmation, it’s best to make it permissive rather than definitive. For example: “I’m learning to eat only what my body needs.” or “I eat less by attending to my anxious feelings.” rather than “I now will eat less.” which will almost certainly trigger a negative reaction in your subconscious. We are social beings and rely on others, perhaps more than we realize. If you’ve been struggling with a particular goal repeatedly, why not enlist the help of a therapist or life coach. There is an old Sufi teaching: “You can’t see the back of your head no matter how quickly you turn around to look at it.” Let’s not reinvent the wheel, so to speak. There are professionals who have studied and understand how the human psyche operates. Most of us seek the help of a financial adviser to safeguard our investments. Why not do it for yourself? Another possibility is to work with a “buddy”. Find someone with a similar goal and team up. Agree to check in with each other once a week for help and support. As long as each of you stays out of advice giving or judging the other, it will work to keep you moving forward in attaining your goal. Have you ever intended to do something then found yourself doing the opposite? Maybe you were determined to stop the late night snacking, get back on the exercise bike, quit smoking or not be angry with your partner. You felt motivated and determined to succeed. Yet in spite of your initial energetic efforts, you failed to accomplish your goal and may even have ended up doing the opposite. Like many of us, you found yourself coming up against a formidable foe – your die-hard automatic habits that seem to have a life of their own. To make matters worse, when we fail to accomplish a desired goal, the common tendency amongst many of us is to harshly criticize ourselves. “I’m such a glutton.”, “I’m so weak-willed.”, “I failed yet again.” “I’m such a jerk.” This negative self-talk consumes valuable energy that we could be applying more wisely to examine our situation. 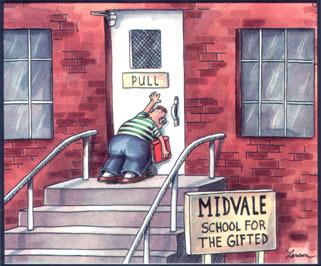 A Far Side cartoon shows a young boy with one arm holding a stack of books and his free hand pushing frantically on the front door of his school. A sign on the door reads “Pull” as he keeps pushing with all his might. Understanding how we operate on the inside – what kinds of thoughts habitually run through our minds, how we react emotionally, and the way we make decisions is like being the young boy who finally stops struggling to see what the problem is and can then use only the required effort to open the door. 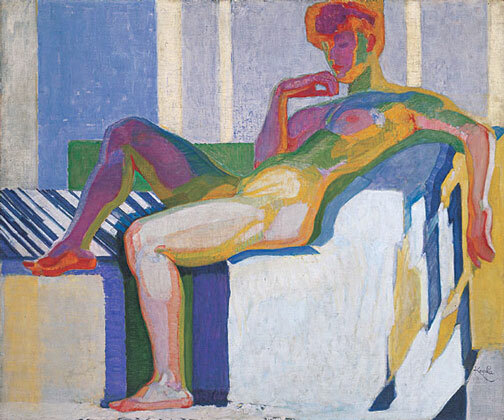 The creator of the Feldenkrais technique, an awareness through movement discipline, once said: “You can’t do what you want until you know what you’re doing.” This is one of the foundations of smart self-discipline – self-awareness leading to informed effort. For example, we may indulge in overeating because of stress, anxiety or other emotional issue. We rush in to stop the overeating without a full understanding of its roots and without being able to attend to the real problem. Each night during sleep, we recharge our inner batteries. When we awaken, we have a fresh supply of energy to live the day, assuming of course that we had a normal nights’ sleep. How we expend that energy will determine the quality of our lives. Drawing upon the wisdom of indigenous cultures can help us in our quest to attain our goals with less effort. The Huna, the traditional healers of Hawaii, understand essential principles about life energy, health and well-being. 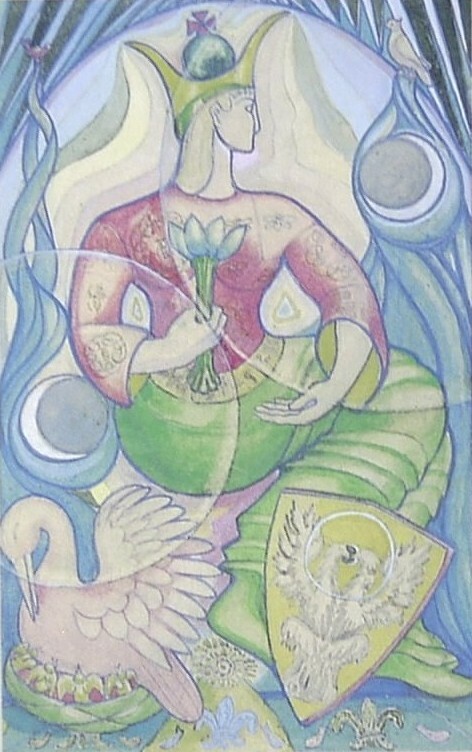 According to their philosophy, (as well as those of traditional Eastern healing traditions) all life is animated by a subtle energy force and this energy behaves according to certain principles. One of the first principles is: “Energy flows where attention goes.” If we place our attention on our right arm, for example, energy will flow into it. It follows that the quality of attention affects the quality of energy. If I feel frustrated that my arm is not getting better quicker, the energy I place into my arm has a negative, constricting quality. If I instead practice patience with the healing process, the quality of my attitude is positive and supportive and I am actually accelerating the healing of my arm. Can the way we think and feel affect our health? 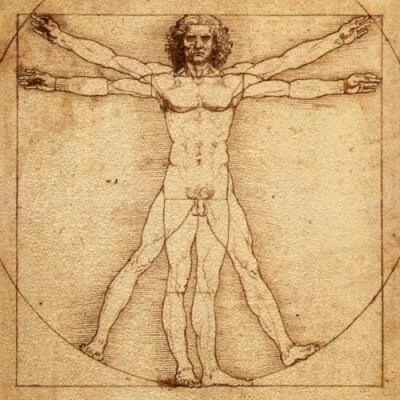 Do our bodies and minds function independently of each other or are they parts of an interconnected system? Curiously, the whole question about the mind-body connection exists only in our Western civilization. In Eastern healing traditions, there is no separation between mind and body. How did it happen that we in the West view it so differently? 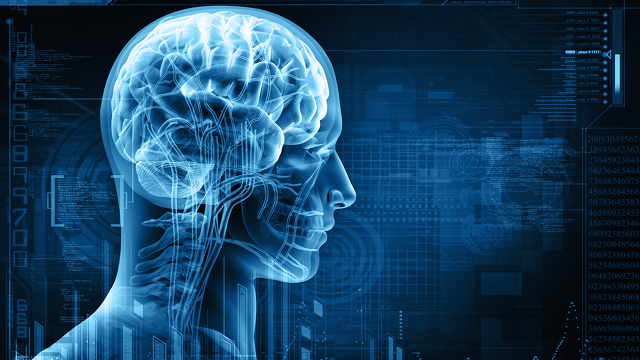 For hundreds of years, Western scientists have treated mind and body as separate entities. It began in the seventeenth century with Decartes who is considered the founding father of modern medicine. Under the powerful influence of the Catholic Church, he agreed to keep the soul out of medicine and limit its scope to the physical body. As a result, Western medicine developed a fundamental assumption that the body is simply a machine, mechanical in nature, affected only by external stimuli such as bacteria and viruses. Yet our own language betrays this division of body and mind. We say things like: she’s “worried sick”, he’s “burning with anger”, it’s “eating away” at him, I’m “choked up” with sadness, and so on. Research into the mind-body connection has shown without a doubt that our thoughts and attitudes directly affect our emotions and physical state. In turn, our physical state influences how we feel. A growing body of scientific research is now challenging the assumption in medicine that our bodies and minds are separate. 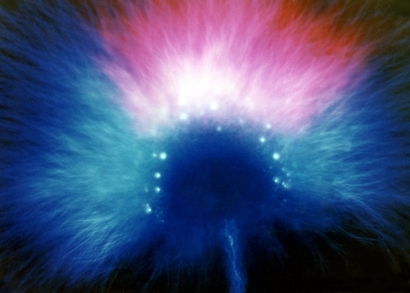 Body-mind medicine, often called psychoneuroimmunology, has made some startling discoveries. Neuroscientists, for example, have discovered that the mind and immune system talk to each other. One researcher, Candice Pert, discovered and measured what she calls the “molecules of emotion”. These molecules, called peptides, carry information not only about the nervous system and the body’s physical functions but also information about the emotions. What is most startling is that originally these emotion molecules were believed to exist only in the brain but have also been found throughout the entire body. Traditional healing systems, particularly from China and India, dating back thousands of years, make no distinction between the mind and body. For example, in Traditional Chinese acupuncture, the liver function is associated with depression, anger and hypertension. One does not cause the other but rather they are part of one landscape, like a forest having both trees and animals. We can’t say that trees created animals or vice versa. They are all part of an interdependent dynamic system. As Dr. Pert puts it: “Mind doesn’t dominate body, it becomes body – body and mind are one.” If this sounds rather mystical, keep in mind that this statement comes from a scientist originally trained in the Western scientific paradigm. It’s interesting that shamanism, the indigenous approach to healing, is remarkably similar in many different cultures around the world. It’s as if indigenous people came to the same conclusions about the fundamental human experience and what is helpful. In all shamanic approaches there are ways of quieting the mind and going inward. Mind-body research supports what these cultures have long known; that techniques such as meditation and relaxation training improve emotional well-being and physical health. The popular notion that happiness is good for us while sadness is bad has no scientific basis. According to research, it is the feelings we don’t feel or express that can be most detrimental to our health. One example is a thirty-year study of a group of healthy young men. They were initially tested for psychological style and emotional health and divided into two groups. One group scored high on emotional health and the other scored low. In middle age, the health differences were striking. The emotionally healthy group, those that dealt with life stresses in a mature, adaptive way had only 3 percent chronic illness. In the less emotionally mature group, those who coped by denying, repressing or intellectualizing emotions, 38 percent were either dead or chronically ill.
Other studies have shown that people who are prone to melancholy and depression have lower immune strength than those with a more positive disposition. So although repressing emotions is unhealthy, experiencing prolonged periods of stressful feelings such as anger or anxiety can lower immune function. A typical example is the type A personality prone to heart disease. Perhaps it is not so much experiencing the emotions themselves but how we deal with them that determines whether they are life-affirming or not. A number of self-help approaches have advocated that we need only change our thoughts or beliefs to transform our lives. This overlooks the fact that we also have an unconscious aspect of ourselves. We can’t change what we don’t know exists. So the first step is awareness. This takes time and perseverance because our unconscious is in the realm of automatic responses and can be elusive. When we feel happy, sad, angry or stressed out, there are measurable effects in the brain and various physiological responses such as heart rate. Knowing this, we can employ mind-body techniques such as meditation, to influence our emotions and physical state in a positive way. Mind-body techniques are simple guided exercises that help people deal more effectively with the stresses and challenges of life. Techniques such as meditation and conscious relaxation can enhance our well-being and increase our ability to recognize inner signals about what we truly need. Conscious relaxation is a rather underrated yet very powerful healing practice. People often ask, “Why do I need to relax? Isn’t that what sleep is for?” Many people, when feeling stressed in their life, actually don’t relax during sleep. You may have experienced this when you wake up in a contracted position or wake up tired as if you never slept. Begin by taking a few gentle deeper breaths, inviting your body to relax as you exhale. Then let your breathing return to normal. Now, starting with your right arm, focus your attention on relaxing your right arm as much as possible without strain or effort. Simply ‘invite’ relaxation to occur, knowing that your body already knows how to relax. Spend a few moments on each limb, then the back, chest, pelvis and abdomen. Try to practice this 5 – 10 minutes per day. If you find your mind wanders too much, you might want to try a guided recording. Go to Meditation CD where you can purchase just the single track “Conscious relaxation” or “Lying-down-with-legs-up” meditation. Have you ever tried to repeat a positive statement to yourself in the hopes of feeling better or improving your situation? Statements like: “I love and accept myself,” “I am successful at my job.” Did you get limited results or none at all? Or maybe things got worse instead of better? You are not alone in this experience. Research has shown that ‘affirmations’ work for some people and not for others. I have spent many years researching and using affirmations both with my clients and myself. In the early years, I often gave up on them because of limited results. Yet I kept returning to them with renewed curiosity and fresh questions. Over time, I came to appreciate that we humans are complex, multidimensional beings and so the reasons why affirmations often don’t work is similarly complex. Too often, in our cookie cutter culture, we have one-size-fits-all recipes for improving health and living a better life. “Eat lots of broccoli,” we are advised. Yet, in Ayurveda, India’s ancient healing tradition, broccoli is contraindicated for one body type and recommended for another. The ancients knew something that we have either failed to notice or completely ignored: that we are not all built the same. Each of us is unique, with our own personality and body type, a specific family history and a range of attitudes, beliefs and life goals. We are, in addition, more than just a mind and a body. We are also energy. Somewhat like the earth’s gravitational field, we each have a subtle energy field, what some researchers call the ‘biofield’. Within this biofield is an imprint of all our past experiences, our thoughts, emotions and a vibrational template of our physical body. 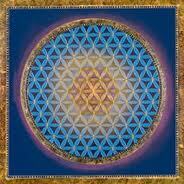 Our energy field responds to thoughts and attitudes, (our own and others), and registers every experience we have. 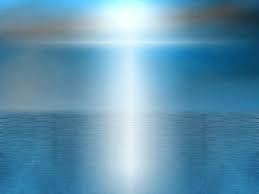 As a therapist who has, for many years, worked directly with the human energy field, I am able to sense these energy effects. I provide a therapy that combines what is traditionally called hands-on healing with various counselling approaches. 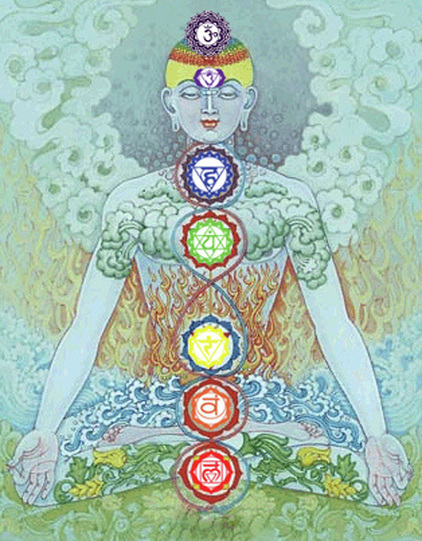 As a person lies, fully clothed, on a treatment table, I gently place my hands on different energy centres, called ‘chakras’, and feel what is happening for the individual. For example, a woman once came for a first visit, and as I walked around to her left side, I suddenly heard in my mind’s ear, the sound of an angry man’s voice. She had not mentioned anything about her father so I gently asked her: “Did your father tend to get angry?” Her response: “My father had a violent temper. We never knew when he’d flair up.” It is amazing that as an adult, her energy still had an imprint of these experiences. If we were to buy a whole new set of clothes, we would have to clear our closets of old clothes that are taking up valuable space. Likewise with affirmations. To assimilate a new attitude, a new way of perceiving ourselves and life, it is necessary to clear out old habits of thinking and feeling. If, for example, you were criticized as a child, told that you were stupid and would never amount to anything, this message becomes lodged in your memory and in your energy. When you try to repeat an affirmation such as “I am intelligent”, this will create a ‘dissonance’ in your energy. I would experience this dissonance or contradiction as turmoil in your biofield. It is as if the whole ‘system’ has to reject the new message because it doesn’t fit with the old imprint. I have found over the years that a person’s body and energy respond to the truth much more so than any wish or intention. It is as if a person’s energy, which has a unique intelligence, cannot assimilate something new until the old pain is acknowledged and cleared. What I do with clients is create a ‘statement of truth’ which their whole system accepts rather than rejects. So if a person is experiencing anxiety, I would suggest a statement such as: “I feel anxious. It’s just a feeling.” I have the person repeat this as I perform energy healing. The combination of the healing with a focus through repetition clears the old stress locked up in the individual’s biofield. It is a surprisingly gentle yet effective approach. Once this is cleared, it leaves a ‘space’ inside that is receptive to something new. 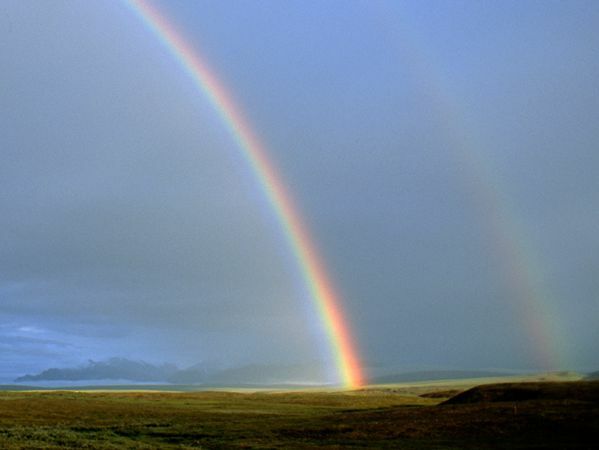 So I compose an affirmation that can be accepted by the whole person’s being. It always amazes me how specific it must be. The exact words must be used, words that the person’s subconscious can relate to. After all, words are symbols of direct experience. For example, when doing a clearing, the words ‘anxious’, ‘afraid’ and ‘scared’ each has a different effect even though they all refer to the emotion of fear. Likewise with an affirmation, or what I prefer to call a ‘positive input’. If a person rejects the phrase “I am confident”, then we must find something that can, at the very least, be considered by their biofield. For me, there is a definite science to using affirmations. It requires skillful investigation and the crafting of an approach that is tailored to each individual. I want to wish you all a very happy Winter Solstice. With the days now beginning to lengthen once again, this is, for me, a time of rebirth, of planting the seeds of something new. 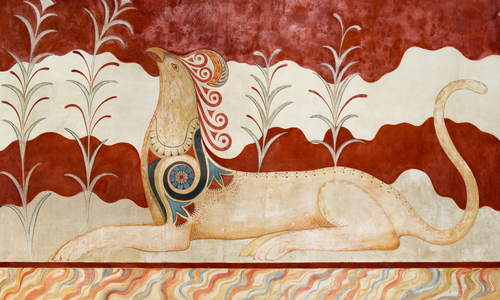 I don’t know why but I associate the Solstice with this image of a griffin fresco from the ancient Knossis temple of Crete. Perhaps because it represents a blending together of different elements to create a new form. Best wishes for the holiday season! Author louisegabrielle1Posted on December 20, 2013 Categories UncategorizedLeave a comment on Happy Winter Solstice!